Yesterday I got the best text from Johnny. It said, “We owe $0 on the epidural!” That text confirmed what we had hoped against hope would be true: having Baby Girl had cost us $0 in hospital bills. Last July, Johnny and I were contemplating moving away from Boston. We wanted to move somewhere more family (read: financially) friendly before Baby Girl was born. Johnny interviewed at a company in a location that fit the bill. And after interviewing, he realized the location wasn’t just perfect — the company seemed pretty great, too. So without further delay, he accepted the job. Once we were settled into our new home, we also said goodbye to my company’s insurance and hello to Johnny’s new company’s insurance. Prior to Johnny taking this new job, we hadn’t even glanced at the insurance plan. So when we finally did look at it, our jaws dropped. It had a $0 deductible and 0% coinsurance. AND supposedly it had 100% maternity coverage. But what did 100% maternity coverage even mean? 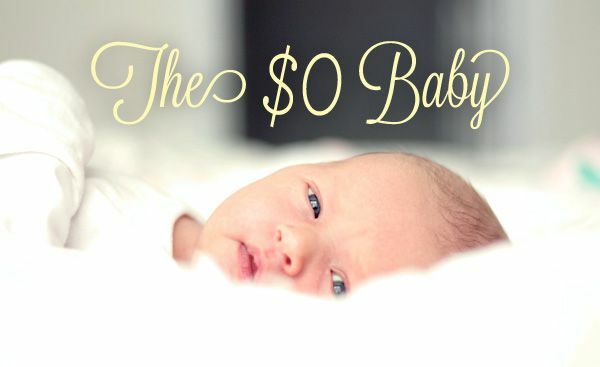 The months passed, and all of my maternity appointments had a $0 copay. That was nice, but Johnny and I still weren’t convinced that our baby’s entire birth would be covered by our insurance. Before we knew it, the big day arrived, and we went to the hospital to meet Baby Girl. And without a second thought, I said “YES!!!!!! NOW!!! !” to an epidural. Soon after getting the epidural, my sister texted me and said, “Epidurals are worth every penny!” In that moment all I could think was, “Crap. Epidurals cost extra? ?” But too late to turn back! Earlier this week, Johnny and I got on our insurance’s website to look at the damage. The first bill listed was for the birth. It came to $4,500, and we owed… $0! Phew. Next was the bill for the hospital stay, which came to $9,000. And survey says? $0!! What?! So far so good! And then there was the anesthesia (epidural) bill. It came to $4500 also, but it was still being processed! There was no way it would be completely covered, too, right? It all just seemed too good to be true… But, sure enough, we owe $0 for that as well. Oh. my. awesome. Needless to say, we are more than stoked about owing nothing for Baby Girl’s birth. The only money the hospital got from us was what Johnny spent on their terrible cafeteria food. Johnny and I will NEVER EVER again take a job without looking into the insurance. The insurance benefits offered by Johnny’s company are worth thousands. And our insurance premiums are the same as they were with our past insurance plans. Johnny’s company just foots the bill to give its employees incredible insurance. One more plus? I signed up for supplemental insurance before I got pregnant with Baby Girl. So if all goes according to plan, we may actually make a little money from our little creature. We’ll take it! Have you ever started a job only to learn about awesome perks or benefits afterward? 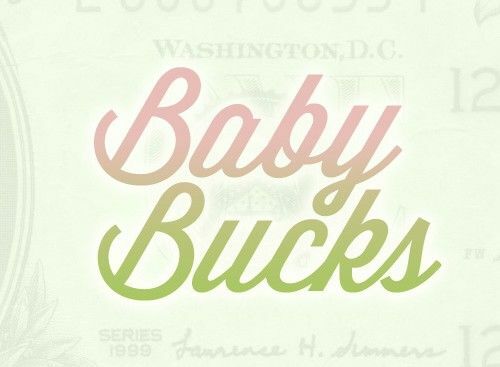 Johnny and I have never had a baby before… are we justified in our giddiness over a $0 hospital bill, or does this happen more often than we think it does? Sounds like you guys seriously lucked out with some amazing coverage. The only “surprise benefit” I ever got was when my company removed the cap on my 401K matching while I wasn’t paying attention. So now we’re eligible for even more matching funds than we were when I joined. Score! And unlimited matching funds is awesome! More free money!!! It’s so crazy that would cost $18,000 to have a baby!!! I’m in Ontario, Canada and health insurance is not even something I think about. Go OHIP (our provincial health plan)!! I know it’s very different north vs south of our border, but I’m always stunned by discussions of medical expenses in the US. It’s not even on my radar living in Canada. It’s not a budget item or something I even plan for. If someone is sick, they go to the doctor. If I have a baby to deliver I go to the hospital. If I want it I take the epidural. If the baby had 10 different problems, all would be dealt with using the best treatment for the situation, not based on what we could afford. Thinking about the cost when making choices about pain medication and having a discussion about need vs want while you’re between contractions is nuts! I was thinking the same thing, except substituting north and south hemisphere. I have never been so grateful than when having a baby for our public health system in Australia. We had private insurance but it didn’t cover maternity. No problemo. Public system was spectacular – I even had my own room and ensuite. All up we paid $35 (which was for a single test to see if indeed my waters had broken – I could have told them that for free -but I was technically an ‘outpatient’ so it was billed differently). It’s amazing we’re just a border away and have such different healthcare systems! Wow that’s awesome that is was all free! My wife’s insurance is pretty much amazing. Until our little guy was born she paid $12/month for awesome coverage (well the deducatble was a little higher than I would like, but $12/month? You can’t beat that). In the end we paid about $6000 out of pocket for our little guy. It probably would have been less, but my wife ended up with severe pre-eclampsia and we ended up with an emergency c-section 6 weeks early. The little guy spent 10 days in the NICU learning to eat (one of the last skills to develope). He never needed 02 and the nurses said he was really low key. Overall the total amount of the bills was right around $90k or so. So I don’t feel bad paying $6k out of pocket! Wow! What a crazy experience. I’m glad it all worked out okay with your wife and baby, and that you didn’t have to pay too much! You never know when something unexpected like that can happen, so good insurance is totally worth it! That is pretty awesome. You guys are extremely lucky to have that kind of coverage. We have great coverage, but $0 is awesome. We didn’t even know such good coverage existed, which I think is why we were so skeptical of it! But it came through in the end amazingly! Our deductible is high, but the coverage is excellent. We do have some outstanding hospital bills because 2012 was a high hospital visit year for us (a baby, some broken limbs, Remmy had pneumonia, etc), but really, his benefits are so great that we overlook the lower-than-the-median pay. Man, those time-off benefits your husband has are priceless. Johnny and I BOTH have jobs where our time off accumulates slowly throughout the year… kind of annoying. I’m sure once you have multiple kiddos it’s especially nice to have great benefits! Wow! That’s awesome. My wife and I are expecting our first child (my son!!!) in early February! She’s a teacher and also has awesome insurance – however, I think $0 will be very tough to beat!!! Congrats on your baby girl I’m new to your blog, but enjoy the back and forth between the two of you. Thanks, Rich! Congrats on having a baby boy soon! Johnny swears we won’t stop having kids until he gets a son, haha. When your baby comes, you’ll be especially grateful for your wife’s awesome insurance!! It’s so hard to imagine ever having to pay for stuff like that (says the Canadian), but I’ve read/heard horror stories about hospital bills in the US, and this is obviously not that! How wonderful it is that Johnny’s insurance covered everything. One more reason to celebrate, I’d say. Yes, lots of celebrations in this house! It’s so fun to hear the Canadians’ perspective on this topic… I don’t know much about you guys’ healthcare system, but you all seem pretty happy with it! So Baby Girl cost you nothing, eh Joanna? I beg to differ. It cost you 9 long months of pregnancy discomfort, although I guess Johnny also did paid his dues in some small fashion along the way ! But you can’t beat company insurance. When we were both working my wife and I both loaded up on company health and life insurance. Since it was group insurance it was the cheapest insurance – premium wise – that we could ever get and well worth every penny, along with our companies’ contributions. With health / dental / drug expenses over the years, for both ourselves and our two kids (which also included expensive braces for both of them), we didn’t have to pay a cent out of our pockets. Mind you, our Ontario government health care coverage also played a significant part. We each did have 20% insurance deductibles but that was never a problem because the 20% of the cost that the insurance coverage did not cover, we claimed it off our other company insurance (it’s called co-insurance). Keep that in mind Joanna if you ever work for a company, like Johnny’s, that provides employee insurance. These days, now that we both are retired from our companies, we still have the same insurance coverage, which is great since as people grow older health expenses tend to increase. So you see, Johnny, you can afford Joanna’s expensive hair do’s after all ! Just a note of caution on company provided life insurance. Take whatever is offered free, but but if it’s not enough coverage, arrange the rest privately rather than through your company. If you ever change companies you’ll again be offered the standard free amount (1x or 2x your salary is normal around here), but qualifying for anything additional is based on your medical history. Most people don’t become healthier over time so you may not qualify for the extra insurance at the next company. We found this out the hard way after my husband had a mild stroke at 41. There were no after effects because I got him to the ER immediately and they treated him within that 3yr window of time you have with strokes. Regarless of the fact that it was mild and no lasting effects, he is now considered a risk. When he was laid off a few years later he only qualified for the basic 2x salary every employee gets with his new company. To add on enough to equal what he used to have we had to arrange private insurance at nearly $200/mth. Private insurance arranged when you are health is very cost effective and you can change jobs all you like without having to requalify. Oh and his stroke and week in hospital for followup testing was all free. The only thing that we were billed for was the ambulance I called to get him there. I’d never called 911 for medical help and didn’t know that wasn’t covered. I submitted the $50 invoice to my work health plan and they covered all but $8. So I guess he had an $8 stroke. Most things are covered by the Ontario government plan, but apparently free only starts once you reach the hospital! All very true points, JMK. Just to clarify my earlier comment, of course I also already had personal term life insurance – right from the day that I first started working and even before we got married. My point was primarily to show how one can very cheaply and significantly add to one’s private level of life insurance (even if it’s not provided totally free) via one’s employee insurance coverage. And to stress the point, it’s especially in the area of health / drug insurance single / family coverage where employee insurance coverage can make a big difference. Whether it too can be available free or not, the low cost is definitely worth considering. Honestly, the 9 months of pregnancy discomfort are nothing in comparison to the sleep deprivation I’m coping with right now! 😉 Luckily Baby Girl is already the best thing that’s ever happened to Johnny and me! And I’ve heard great things from couples who have double insurance coverage (from both employers). Once we have multiple children and more expenses, I think Johnny and I could definitely benefit from that! So true!! Benefits are very important even here in Canada not everything is covered as people may think. Hospital stay, epidural, etc. definitely is BUT some things are not covered that depend on your company. Example – staying in a quad room, semi private or private after you give birth. Circumcision is extra $ for boys. My husband’s company deducts about $200 per month for health benefits to cover for dental, medicine, etc. Two of my three kids are allergic to peanuts. An epipen costs $100. My husband’s company pays 80%. We need epipens for them to carry, one for the school office, one for home etc. Luckily, we only need prescriptions occasionally. He was 100% covered when he started the company 4 years ago, but they changed the plan a few months ago to 80% and didn’t even inform us. Had I known, I would have at least stocked up on epipens. I will have to call about the dental! Makes a huge difference if you need major dental work or if your kid needs braces, you could be spending several thousand!! It’s really interesting to hear about Canadian health coverage! I’m sure there are pros and cons of both of our countries’ systems… like having a private room at a hospital is pretty much a given in the US (unless you live in NYC!). But it sounds like our benefits are also much more expensive. There’s so many benefits you mentioned for kids that I’ve never even thought about. Johnny was allergic to peanuts when he was younger, and I had to get braces, so we might have to figure out both of those things for our own children. This health insurance thing suddenly becomes so much more important once kids are in the picture!! Like Cait, I also can’t imagine living without universal healthcare here in Canada. I had an emergency c/section with spinal and a week in hospital and didn’t have to even think about the bill, not even our private insurance, the only thing that was billed to our private insurance was the 6 days a TV that wasn’t billable to the province…and they paid it. So happy you didn’t have to pay! That’s great! I can’t imagine NOT having to think about healthcare costs, haha. Our two countries are so similar in some ways and yet so different in others! Wow that is amazing!! What awesome luck. My husband and I really want to start a family but right now we don’t have maternity coverage. I quit my job at a big bank in August, I had great coverage there but was very unhappy and now I love working for myself, but I do wish there were better private insurance options out there! Husband is graduating this April though so fingers crossed he gets a job with coverage like yours! We will definitely be looking closely at that! Do you mind my asking which supplemental insurance you have? Do lots of fun stuff with just the two of you until that time comes!! That’s awesome you are working for yourself… it’s totally worth it to be happy. My supplemental insurance is Aflac. I’m not sure how much exactly it will pay out, but there might be a post forthcoming on that as well! Another Canadian here, while it’s a weird concept that you have to pay for prenatal appoints and a hospital birth, I’m really happy that you guys ended up being totally covered by insurance, sounds like some really sweet coverage! In reading all the Canadian comments, it’s crazy how much different our healthcare systems are! I wonder what all of you would have thought if we actually HAD had to pay money out of pocket! I have to agree with Catherine… I can’t imagine life without our universal coverage. We didn’t have to pay anything. We are of course now solicited for donations to the hospital. But we don’t owe them a cent. Karie is right about it not covering everything… But everything ACUTE gets INSTANT treatment. It’s all based on triage. Q: are you going to die if we don’t deal with it instantly? If the answer is no, then you might have to wait a while. Replacement hips and knees do have a several month waiting list. But since you know a LONG time in advance that you’re having trouble with your hip or knee, it’s easy enough to schedule. We aren’t solicited in any way! That would annoy me! That’s great all you Canadians were able to have free babies! While I feel like we get great care with private insurance in the US, we’ve definitely got to figure out a way to make it less expensive! That’s very cool! Not to be a party pooper, but if the company pays for it they are technically factoring that into the overall “cost” of Johnny’s compensation, but it sounds like you factored that in as well. It sure is nice not having medical expenses come out of your bank account, though. You’re right. They’re definitely factoring it into their costs to keep Johnny around. But luckily for us, it wasn’t reflected in the competitiveness of his salary. Wow, that’s some amazing insurance! Sounds like you guys hit the jackpot! Congratulations on your bundle of joy! And hello to you both (or three)! I just found your blog last night. Love your writing style! Thanks, debperception! We are loving being parents to Baby Girl. I can’t get enough of her! And since I’m sure I won’t be able to resist spending lots of $$$ on cute outfits for her, it’s a good thing her hospital bill was nothing! Actually, we had the opposite happen. My husband took on a new position last February and the insurance wasn’t as great as they had told us. In fact, they said we had eye coverage. We don’t. Not one penny. AND our insurance premiums were at least 25% higher (of which we knew going into it). Good thing my husband negotiated a 20% increase in pay and a signing bonus. Good grief. So glad you have great insurance. By the way, I am now going to burst your bubble. Baby Girl is going to cost you. Big time. Just saying. :)! LOVE your blog by the way, you guys are absolutely adorable. Wish I was as smart as you when I was your age!! :)! I’m glad to hear your husband was able to make up for the lacking insurance with an awesome pay raise! Bigger take-home pay is more fun anyway! That’s awesome! We’ve had good coverage for all four of ours, but nothing like that. We usually end up owing around $1500 all said and done. If we had stayed on my insurance (which was good), we would have paid more than $1500 for Baby Girl for sure. I didn’t know insurance like Johnny’s even existed, so we’re just gonna enjoy it while we can. Who knows if we’ll ever have coverage like this again! I have some ongoing medical issues that need continuous care. After being burned by a expensive plan provided by one employer I always make a point now to check. My current job has AHMAZING insurance. Not sure about baby costs but I had a massive knee surgery a few years back that “cost” $60K and cost me $0. I had to get a few MRI’s. They are incredibly expensive ($800-$1000) and past insurance only covered half. My current position health plan covered the MRI’s at 100%. That’s an awesome success story! It doesn’t make you feel quite as terrible about forking over that monthly premium now, does it? All of our prior plans were really lousy with X-Rays and MRI. Lousy enough, in fact, that I opted against going in to get my wrist checked for a broken bone (it ended up being a sprain anyway, so I got lucky). That is awesome that you had no out-of-pocket costs!! At the last place I worked, my pregnant coworkers joked about their “$10 baby” because they had such awesome coverage that they paid next to nothing (but not literally nothing like you guys). I haven’t been in a position to inquire or negotiate over benefits so far but I’ll definitely be looking at it closely for my and my husband’s next job or two as baby-making is looming. Good call on taking a closer look. I’ve always taken my prospective employers’ word for it without doing a deeper dive, but I’m certain those “great” plans would have put us out a pretty penny for our baby. Ask about the obvious #’s (premium, deductible, co-insurance %’s) and also ask to see a Benefits Guide to see what is and isn’t covered. You’d be surprised what insurance companies sneak in there to save a buck. Never underestimate the importance of insurance. 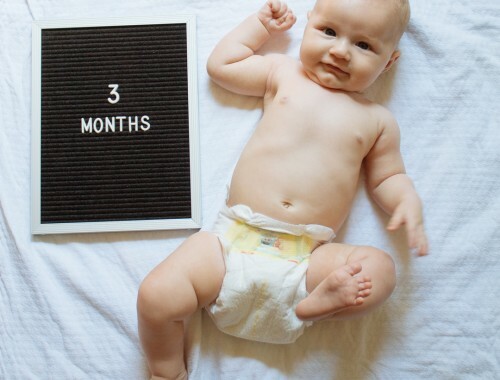 When my son was born, it was 3 months premature. Our hospital bill came to (and this is the insurance negotiated rate) $836,000. (Sticker price was around $1.75mil). Wow! That’s incredible!! What a blessing. I can’t even imagine dealing with the stress of a medical problem with a new baby AND a six-figure bill. Yes, I think all the time about how lucky I am to get such amazing coverage through work. Two years ago I got a serious infection in my colon – the care would have cost me $20,000 without insurance. But I only owed $50 in co-pays. My co-worker had to go through a series of fertility treatments (all covered by insurance) and then had twins born VERY prematurely. 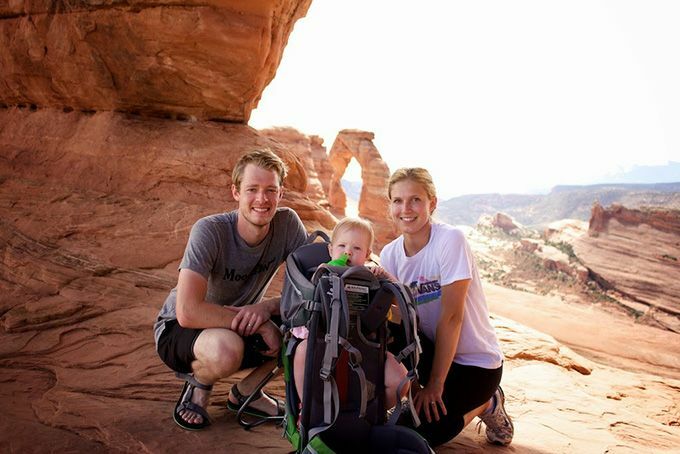 Her husband calculated that between the fertility treatments and months in the NICU for two babies, they would have owed almost half a million dollars without insurance. They only ended up paying a few hundred in co-pays. In the long run, good health insurance and pension (which is AWESOME, btw) are likely worth more than some short term pay increases. Sounds like health insurance REALLY worked in your favor. I can’t imagine being on the line for that (or your coworkers’ situation) crazy amounts. I’ve spent the last five years complaining about my premiums and deductibles and suddenly I’m health insurances’ greatest cheerleader. that is incredible. we have decent coverage with my company, but premiums recently went up because of the new healthcare. We’re two healthy (relatively young) adults though. One benefit that I found out after I got the job was my pension. Had no clue about it, but for every year I work at the company, I’ll get 2.5% of my salary for the rest of my life once I retire. So I can retire at 57, having worked here 30 years, and receive 75% of my salary for the rest of my life. That sounds super sweet to me. If you’ve found a job offering a defined benefit pension plan NEVER LEAVE! Boy are those rare now. Pension! Like JMK said, those are about as rare as unicorns these days. That’s incredible, congrats! My wife and I had this same dilemma with our daughter when she was born. I never took a hard look at our insurance so we got clocked upside the head with a hospital bill of approximately $1k. You know what they say… some of the best lessons are learned the hard way. Now with our son due in March I’ve checked the insurance multiple times and have been told we will have a $0 bill as well. Congrats on having a $0 bill! In the past, I’ve always just taken my prospective employer at their word when they say it’s a “really good insurance plan.” And it’s never been the case. Luckily we’ve avoided major health care needs in the past, so we dodged some bullets. And congrats on the baby boy! We’ll be looking forward to hearing about your $0 bill celebration! Another Canadian comment. I don’t understand why so many of your politicians are against universal health care. I would hate to think that a parent delayed a doctor or hospital visit for a child because they didn’t have the money to pay. Births, follow up visits and all the innoculations are free here. 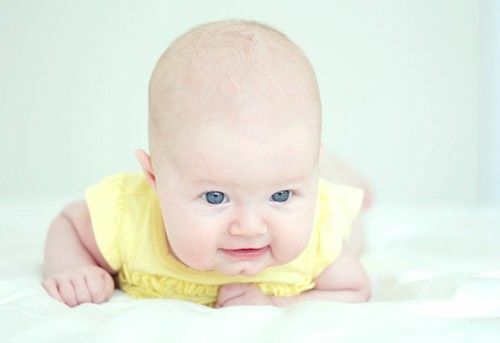 Circumcisions are not considered a necessity so there is a fee for that for infants. If an older child or an adult requires a circumcision because of multiple infections or a painfully tight foreskin that is considered medically necessary and it is free. There’s a whole lot wrong with health care in our country. And I’m not sure that our new health care laws are going to do much to help. At the very least, the poor who can’t afford health care are taken care of. It’s the middle class that gets screwed. Wow, you guys really lucked out! That kind of coverage is a rarity these days, at least in the US. Might want to stay there, Johnny, at least till you’re done having kids :-). Funny you mention that. The Mrs. and I actually just had this conversation this weekend. But depending on the day and how Baby Girl is cooperating, we either want to have 10 more kids (ok, more like 2 or 3) or ZERO. But should we make it out alive with her and want to have another, we’re hoping to have free baby #2 with this employer. My sister is still paying on baby #1 (who turns 5 this summer). Her insurance coverage at the time was terrible and she had no idea (wasn’t paying attention, didn’t really realize until it was “too late”). Thankfully she got a new job and baby #2 was much less expensive. That’s good to hear that baby #2 is less of a financial burden for your sister. After our experience and our sheer luck of stumbling into a fantastic employer insurance plan, I’m preaching from the rooftops to all my friends/family about looking into their current and future employers’ benefit packages. wow. I am so very happy to live in Canada where these things are not even an issue. For real… count your lucky stars. I don’t know all the legal implications, but Joanna and I should hop the border before our next baby. Still it’s such a strange thing that USA health insurance goes via the employer, because unemployed people need it too. Plus your employer gets to decide on your health care, which is dubious right? I mean your body it mostly not your employers concert apart from the hours you’re working for them. It gives employers and companies so much power over your every facet of living, including how much procreation will cost you and if you can afford a child. Just wanted to add a savings tip regarding medications while in the hospital. I elected for an unmedicated birth with my first. When looking over the itemized list of costs, we were shocked to see that the ibuprofen they gave me after the birth was $70. This adds up pretty quick with multiple doses. The cost of that cheap generic ibuprofen included the pharmacy fees and the fees to administer the medication. So for the birth of our second we brought our own meds to the hospital – ibuprofen and docusate (stool softener) which they also commonly give. The hospital and my doc were cool with it. They just had it sent to the pharmacy so the pharmacist could verify they were the meds we were claiming, and I had to let the nurse know when I took a dose. No $70 fee on the bill that time! The decision to go unmedicated shouldn’t (hopefully) be made based on finances. But there are definite financial benefits! We have typical insurance. I was walking within an hour of having my babies and had a hospital stay of 24 hours. No fees for epidurals, strong pain meds, or catheters. Each baby cost about $1k. This is amazing! I’m curious though, did you have to pay a lot in insurance premiums to get that low of a deductible?